One of the most important decisions you’ll make for your upcoming wedding is who the photographer will be. The photos from your wedding are one of the only tangible memories you will have! Here are eight tips for choosing the wedding photographer of your dreams. When it comes to wedding planning, if there’s one place I think you should be picky about, it would be the wedding photographer. Most of your physical memories from your wedding will be from the portraits you have taken, and I think it’s important to have a photographer that you trust will do their best to preserve those memories. While I’ve been building up my photography portfolio, weddings are something I don’t think I will ever want to do! They are just one of things that you only do once, and you want them done well – it’s just too much stress for me. However, I know quite a few photographers, I planned my own wedding, and I’ve talked to a lot of people who have had great (and not so great) experiences with their photographers. So, I thought I’d share a few tips for helping you find the best photographer for your wedding! I’ve also asked for advice from professional wedding photographers! Wedding photographers can be very expensive – and while I think some are probably overpriced, there is a lot of time and effort that goes into photographing a beautiful wedding. Not only are they committing many hours during the day to the wedding, and also the countless hours that go into preparing for the wedding, their equipment, and, of course, editing the portraits. However, I also think it’s important to make sure you stay within the budget you feel comfortable with. It may take more effort, but I believe you can find a great photographer in your budget with a little bit of work. I think that if you go into it knowing your budget, you want be tempted to spend more than you are able. On a similar note, before you meet with a photographer, I would have a good understanding of how much they charge. Most photographers will have their prices listed on their website or a price list available upon request. This is better than just asking to meet with a photographer, not knowing their prices, because if the prices end up being way out of your budget, it ends up just wasting your time and the photographers…and you’ll probably leave feeling discouraged! My friend Brittany shared her experience with flying someone in from out-of-state, and it being less expensive than hiring a photographer near where she lived. This might be a good option if photographers are extremely expensive near where you are getting married! There are SO many different styles that wedding photographers shoot and edit in. Some take a more natural approach, while others are really into adding the drama. Two wedding photographers might both take excellent photos, but their styles will be completely different. I would recommend going on Pinterest and looking through wedding pictures that are on there and seeing what style you like. While you might not be able to get those exact photographers, you can at least get a vision of the type of photographer and portraits you want. I think it is important to know what you want before, then find a photographer who shoots that style of photography. I have had brides see my work and choose me, but then show me images from Pinterest or other sites that is completely different from the way I shoot. Typically featured images on a photographers website are a good representation of the type of work they do, and that is what you will be getting if you choose them. Something else you can do is browse through your friend’s wedding pictures that they put on Facebook! You might be able to find a photographer that way as well. Ask to view an entire wedding. Anyone can get a good few shots at a wedding. I think this is SO true. Every year I like to get family pictures taken. I looked around for a little while, but I made the mistake of only looking at the featured images on a photographer’s page – which were great! However, after we got the portraits taken and delivered, I was disappointed with how dark they were and the overall editing. Upon further investigation, I realized that most of her pictures were like this. The posing was good, but it just wasn’t my style. It wasn’t that big of a deal, but had this happened with my wedding, I would have been devastated. Don’t be afraid to ask a potential photographer for albums of entire weddings or of all their work. This will also give you a better idea of what type of pictures they’ll take of you! This may not always be a possible, but you could even ask to observe a wedding they are shooting. I think as important as knowing what their work looks like is, it’s also important to know how well they work with people. Our wedding photographer was so engaging and professional, and she really commanded the respect and attention of our guests. You want someone that is organized and isn’t bumbling around trying to get people’s attention! Trust me – weddings get crazy, and people need direction! Photographers all offer different deals – some will give you a CD of all the edited images, others require you to purchase the prints from them (and if you want the CD, it’s an a la carte item.) Some may only shoot for a set amount of hours, while others may commit to the entire day. You may even find some photographers that throw in an engagement or bridal session with the booking of a wedding. If there’s one thing I’ve learned though, it’s this – get everything in writing. Don’t be afraid to ask questions. We live in a world where it is easy to find reviews of different services, and I think that’s true with many photographers. I would dig past the testimonials that many have on their website (because, really, what photographer is going to put a bad testimonial on their site?) and see if you can find reviews on websites like TheKnot.com, Google Reviews, etc. If you aren’t able to find a review, just take a little more time talking with the photographer and reviewing their work before you commit. You should also ask family and friends for recommendations. I also often see people asking for recommendations for photographers in Facebook community groups. When you do this, you’ll get a wide range of recommendations, so make sure you research the photographer yourself. I’ve been recommended different photographers before (and seen recommendations in Facebook community groups), and about 60% of the time, I don’t like the work of the person recommended. Everyone has different tastes, so even if you have a good friend recommend someone, they may have a different kind of photography they like. Remember we are here to help you make your wedding as awesome as possible. We have been doing it for a while so use us to bounce ideas off of like where to get a cake, invitations, a seamstress or even an officiant. It is the world we work in, it is a world were we network with other types of vendors and could possibly find or know right where to get what you are looking for. I love this idea, because it gives you a test run to see how your chemistry is with the photographer and how they work. 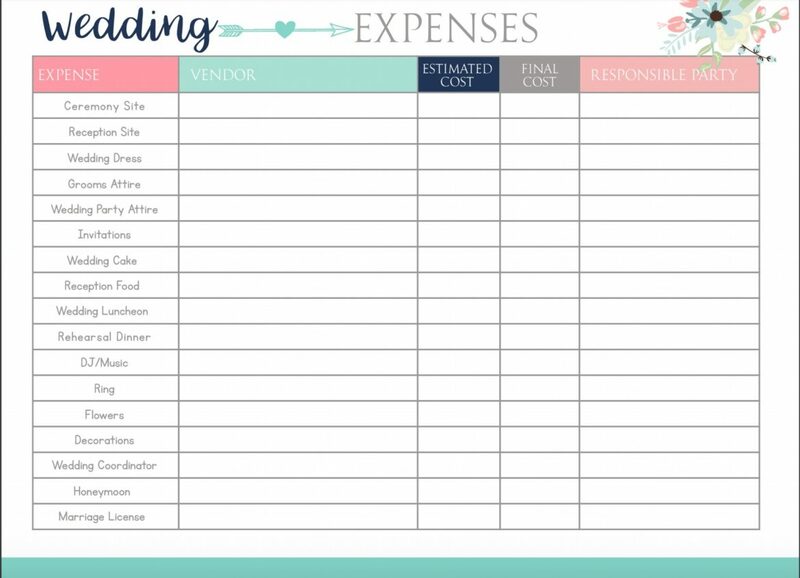 It may cost a little bit to do a trial session, but it’s a lot less than having to pay for a wedding photographer you don’t like! Don’t just assume your photographer knows what you want and vice versa. It’s so important to make sure you both know each other’s expectations. If you start to get concerned about something, bring it up with them! For instance, when Forrest and I got married, it was SO cold outside. We had a lot of small children, and as soon as I realized that the kids weren’t going to last much longer, I requested that we take pictures that we wanted with the kids in them to be taken first. Our photographer was very flexible, and this worked great. She may have suggested this otherwise, but it’s one of those things where it could have easily been overlooked, and I wouldn’t have gotten some of the pictures I wanted. Be Picky – Don’t be an Experiment! People are always getting into the photography business – which is great! There’s a lot of talented people out there, and you’ve got to start somewhere. However, I really believe that with something like your wedding, you have every right to be picky. If someone tells you that they’ll give you a good deal but they’ve never shot a wedding before, I would hesitate to accept that offer. I think that before someone becomes a wedding photographer, they should definitely be a second shooter at weddings to at least build up their portfolio. You may get lucky and get someone who just has a knack for it…but from what I’ve been told, weddings are hard to shoot, so hiring someone who had no experience might not end very well. If you have a friend who says they’ll take your pictures (and they have no experience at all), I would avoid this as well. You will have those pictures for the rest of your life – you have every right to find someone who will capture it in a memorable way! These are great tips! And I love your pictures! We had a dumbo of a wedding photographer and I really wish we had followed some of these tips! !